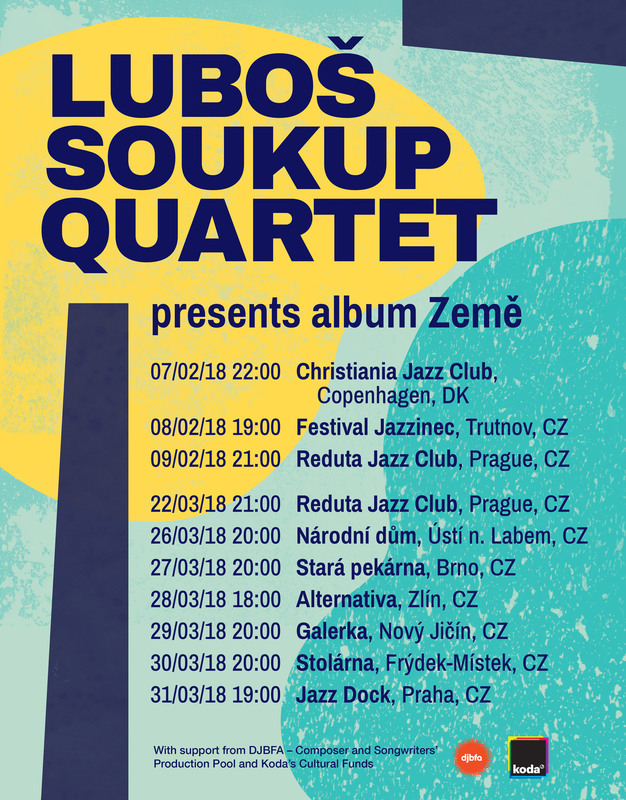 Luboš Soukup Quartet goes on a spring tour to present their latest recording, Země. The band is playing ten concerts in both — Denmark and the Czech Republic. For more info about each show, check Facebook. The tour happens with support from DJBFA – Composer and Songwriters’ Production Pool and Koda’s Cultural Funds.